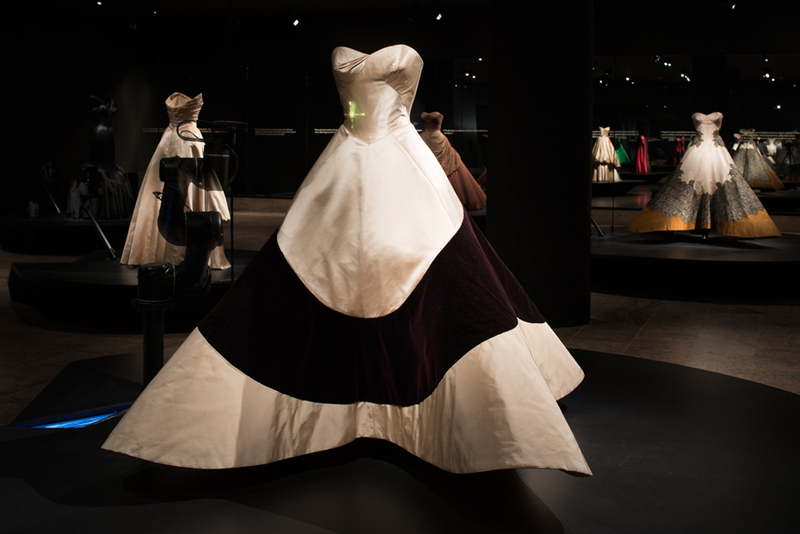 In spring 2014, Parallel Development designed and fabricated robots for the Metropolitan Museum’s Costume Institute Spring exhibit: “Charles James: Beyond Fashion.” The exhibition was designed by Diller Scofidio + Renfro. 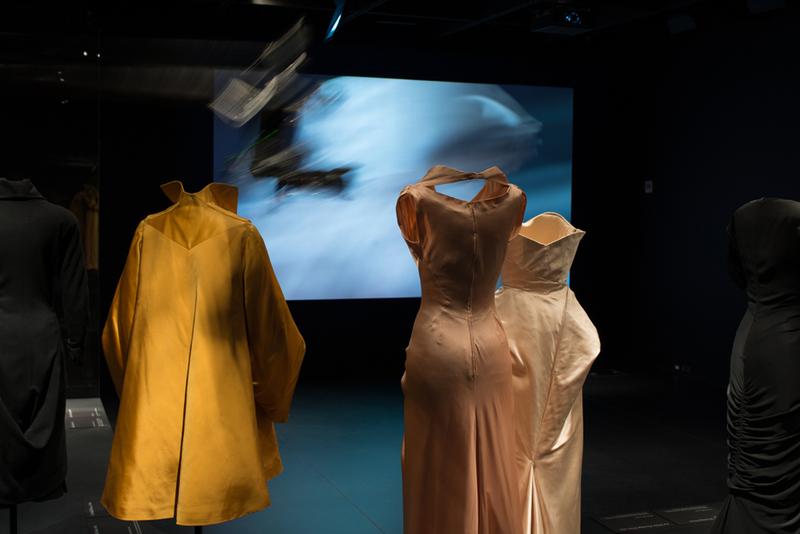 For one room of the exhibit, Parallel built four custom robotic boom arms with pan/tilt cameras that moved along ceiling tracks among the dresses. 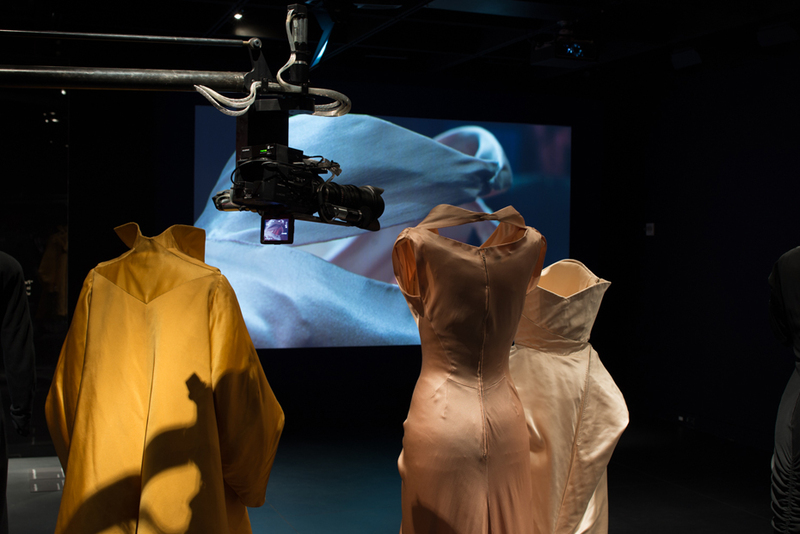 The robotically-controlled cameras examined the garments and projected live video details onto four large wall screens. 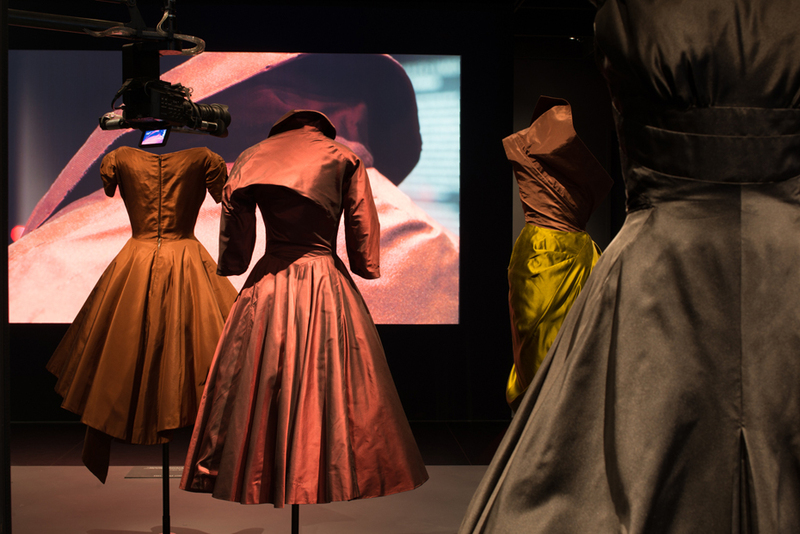 Each robot had six axes of synchronized motion, including operation of the cameras’ manual focus rings. Software designer Jason Cipriani created the custom motion-control software, including an authoring program to allow the DS+R to control the robots’ movements and camera views. 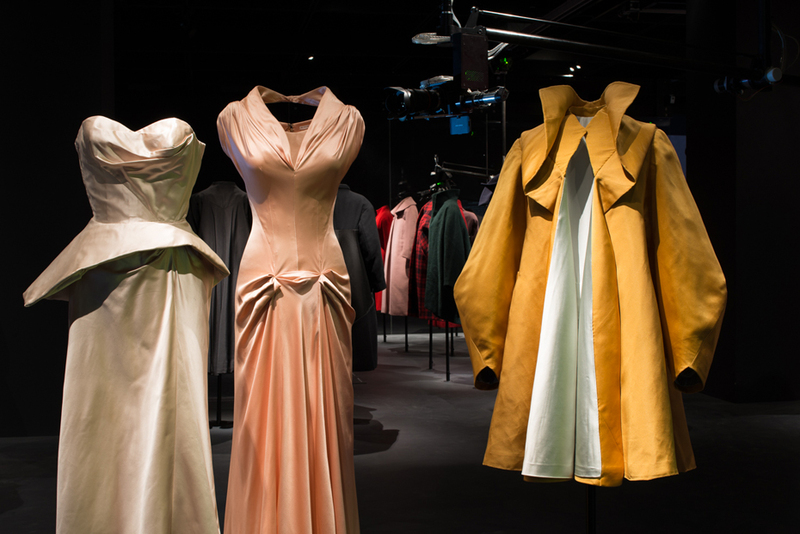 Parallel also provided programming support for robots from Universal Robots of Denmark used in a room dedicated to James’s major ball gowns. 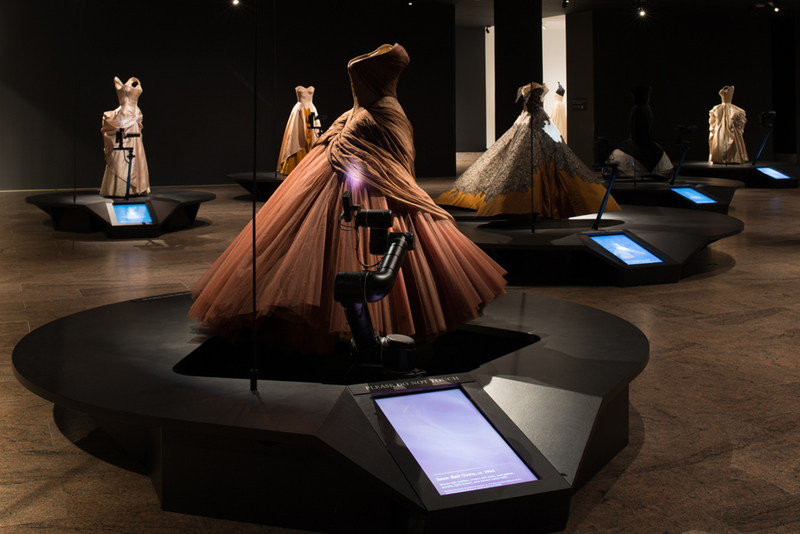 Mounted with small pico projectors, the UR robots focused a beam of light synched with animation and video explaining the structure and detail of the gowns.